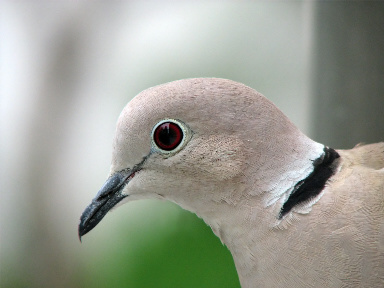 The ring-neck dove is the easiest and the most common dove to be kept as a pet today. This bird is very hardy and is ideal for people that don’t have much time to care for them, but in that case get a pair so doves are not bored. These doves will breed in almost all conditions, and if you have a pair you will get them to breed easy. This bird comes for Africa, but can be seen in other parts of Europe and US in the wild. From all the doves kept as pets this one is the easiest to hand-tame. If you decide to keep just one, it can be a great companion for elderly, children and all other ages. Get this dove a bigger cage, so they can have lots of flight room, install perches so doves can fly about and stay healthy. Bathing opportunity is liked by these birds and its good to provide it, and as all doves they like to walk on the ground. Dove mix is the best food choice, as it provides the best natural diet. Get proper dove food and with that fruit and lettuce can be given twice a week as snacks. its good to get Doves (Complete Pet Owner's Manual) if you are a novice. Nesting platform is the best choice, these doves are not picky about places to nest. If you get them a secure nesting place they will breed all the time. Give them some rest after a few clutches, remove the male for a few months. Doves can get tired of to much breeding and will live shorter lives. This hardy bird is easy to keep for a novice owner. Just do your homework and provide good housing and food.